Join us Thursday, March 22nd for the 2nd Wine Walk at the Heavenly Village! Join us between 4PM-7PM on Thursday, March 22, 2018 for the second Heavenly Village Wine Walk! Donate $20 to Christmas Cheer and receive a commemorative wine glass which will serve as you sip your way through the Shops at the Heavenly Village and a selection of Amador County Wineries. Each shop will feature a different winery, restaurants in the Village will be running food + drink specials and hosting live musicians for your listening pleasure! We will be hosting an in-gallery raffle, so be sure to stop by and pick up a raffle ticket! So mark your calendars, tell your friends and RSVP on the Facebook Event Page for a fun night at the Heavenly Village! All proceeds will go to benefit Christmas Cheer of South Lake Tahoe. 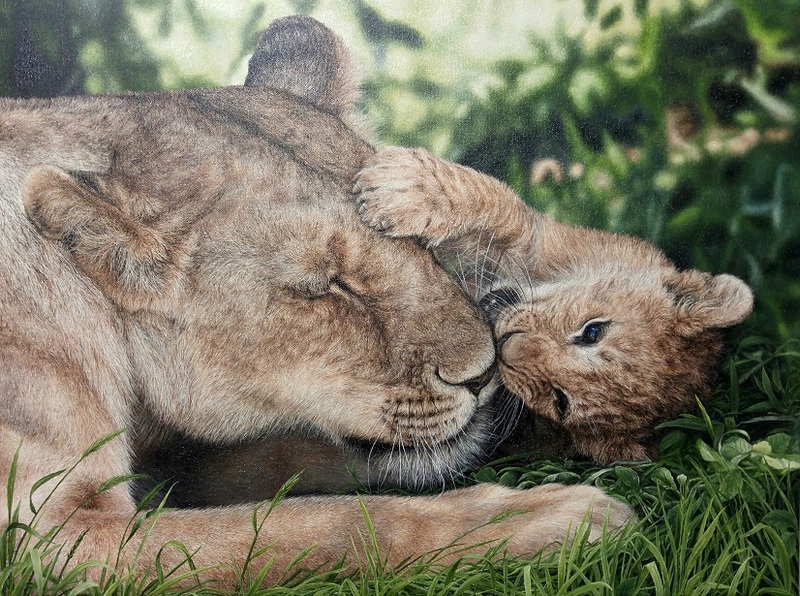 We are kicking off Small Business Saturday with the exciting release of this stunning new original by Holly Kavonic! Join us any time between 10AM and 6PM on Saturday, November 25th for holiday-themed cocktails, snacks and plenty of exciting Small Biz Saturday deals! 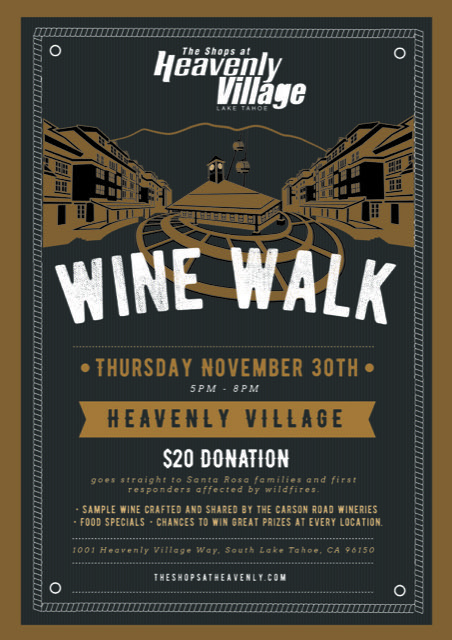 We are excited to be partnering with the Shops at Heavenly Village and the Carson Road Wineries to resurrect the Heavenly Village Wine Walk! Mark your calendars and RSVP to our facebook event and plan on spending an evening shopping, sipping and supporting a good cause! We are working with the North Bay Fire Victims charity to donate the proceeds of the Wine Walk to those affected by the devastating fires in Napa and Sonoma counties. Please swing by the gallery between 5PM and 8PM to pick up your wine glass ($20 donation) and complimentary raffle ticket to enter our giveaway! We will be raffling off two Abdon Loebs lithographs of Kiva Beach that will make a stunning addition to some lucky holiday shopper's collection! All of the proceeds from the Wine Walk and our in-gallery raffle go to the charity, so come out and let's make some money for these folks! Pssst! Be sure to RSVP on Facebook!